Note that the Japnaese dolls have blonde hair. This may not be all that significant bearing in mind the fact that the bear is blue. 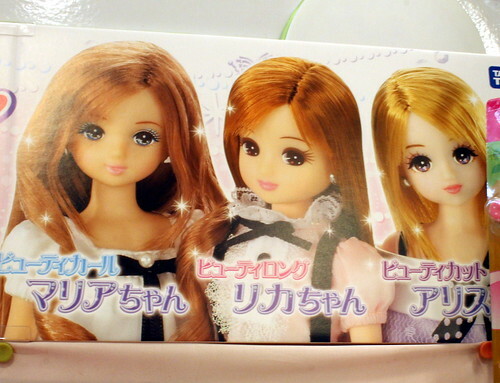 All the same though, the fact that dolls even in Japan are blonde probably increases their Michael Jackson complex. Michael Jackson 'complex' is not what you hear from media. Michael Jackson had a disease at his skin called VITILIGO. And when you grow up simce age of 5 in front of the judge of your public you have to pay attention to your 'image' and his father called him 'big' noise. He cries a lot for this and have a terrible childhood. WHo are you for JUDGE an artist and a man that you DON'T KNOW AT ALL, and just judge things from LIES you read in the tabloid???? Reflect before to talks. BY A PERSON WHO LOVES AND RESPECT This great artist GOD send to this earth. You are right, and I am sorry. I believed in early media rumours and insulted this great artist. As you say, his motivation for become white was due to his tragic disease, and parental abuse. All the same though I believe that there were multiple motivations for MJ's change of form. Part of the motivation may have been, I still suspect, due to the massive, and massively prejudicial influence of the media that teaches us that blonde, blue-eyed, caucasian is more beautiful than black. In my opinion the bodily form of persons of African descent is more beautiful than that of whites, but at the very least is it equally so. Would you like me to edit my above post, to say what I have said in this comment, or does his apology suffice? Your observation about the blonde Japanese dolls is thought-provoking. The Japanese I know are proud of their heritage yet there is that fascination with the blonde/blue-eyed stereotype. As you are aware, the dolls you show have names in katakana used for Western words so might that help a distinction of identification? Mind provoking burogu. Many thanks. Good point. Two of the three have strikingly Western names (Maria, Alisu) the third (Rika) is more ambivalent. I was thinking of Asking Japanese to give names to manikins and use the nationality of the name they gave as a dependent variable, to indicate the extent to which they think the mannequin is Western or a Western looking Japanese person. In Hong Kong and much of Asia probably, the Japanese are famous for their (mid pacific?) blondish, round eyed look. I am very tempted by the "beauty is average theory," so, innundated as they are with both Western and Asian images of beauty, the Japanese may be aiming for the average.